For-Profit Colleges as Benefit Corporations: Where’s the School Spirit? For-profit colleges are a $25 billion industry that gets no respect. They claim just 5 percent of the $500 billion Americans spend every year on higher education. Their critics call them “dropout factories” that burden students with debt and get billions in federal and state support while returning little value. In the last few years, six for-profit colleges have re-chartered themselves to become benefit corporations, with a dual mission to pursue a public benefit while also making a profit. Are they greenwashing? B Labs, the independent social auditing firm that awards B Corp Certification and also promotes the movement for chartered benefit corporations, doesn’t think so. But changing that image might take a while. Critics of for-profit education cite a 2012 report by former Iowa Sen. Tom Harkin, which analyzed 30 for-profit colleges and found that their associate’s degrees cost four times as much as did similar degrees from public schools. Harkin also found that 63 percent of students enrolled in associate programs at for-profits in 2008-09 had dropped out a year later. The expenses and yields for other degrees were also poor in comparison to public and not-for-profit schools. Two years ago, B Labs convened a diverse group of educators to develop specific social auditing standards for higher education. The group released the standards last September. A few weeks later, Laureate Education and Alliant University passed the audit to become the first for-profit colleges that are both benefit corporations and Certified B Corps. Other for-profit colleges are talking the talk. “We’re a 115-year-old company, and being a public benefit corporation is in our DNA,” says Trenda Boyum-Breen, president of Rasmussen College, a regionally accredited institution serving 14,000 students online and at 24 campuses. It grants degrees in business, nursing and other job-oriented disciplines. 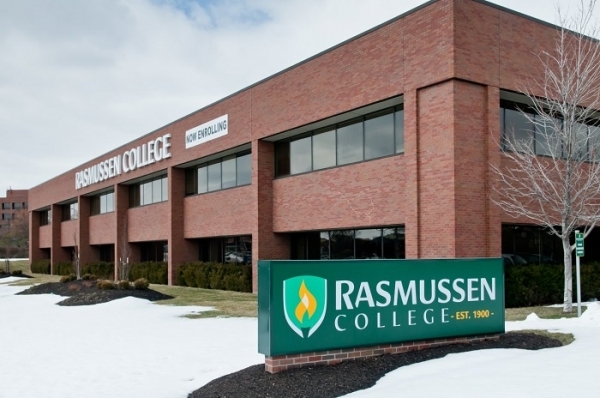 About 75 percent of Rasmussen students are women and over the age of 25. More than a fifth are African American. “For-profit colleges have a powerful opportunity to encourage upward social mobility,” Osusky of B Labs says. That all sounds good. But Rasmussen is privately owned, so it doesn’t release information on its revenues, its expenses or the names of major shareholders. Boyum-Breen says the college is consulting with B Lab, but it hasn’t yet been certified. And Delaware law only requires that PBCs give their shareholders a statement regarding the progress of their social goals once every two years. The statement does not have to be done by an independent third party, and it doesn’t have to be public. “This is a controversial industry, and some for-profit colleges have questionable reputations,” says Osusky, who adds that the best way forward is for the industry to adopt specific performance standards, greater legal accountability and public transparency. “Controversial industries are where the need is greatest to distinguish between good and bad actors,” he continues. Boyum-Breen, who became Rasmussen’s president 10 months ago, says the college’s directors will see its first internally-produced social statement at their meeting in March. She says that parts of the statement will also be released to the public and that the college will continue to work with B Labs. She is also pushing changes that promise to lower the cost of a degree. More than three quarters of her students have already attended college somewhere else without graduating. Rasmussen’s Flex Choice, which combines classwork with online study to allow students to pass course units based on their prior experiences, was expanded to all degree programs in January. Maybe so. But you can’t assess a company’s performance until you measure it, and you can’t trust those measurements unless someone or something holds the company accountable.